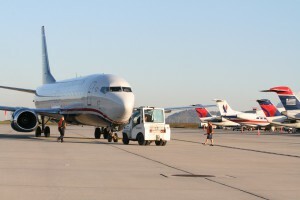 The Airport Connectivity Quality Index, released in June 2013 by the Massachusetts Institute of Technology (MIT), showed Asheville Regional Airport as the best connected non-hub airport in the United States. On August 8, 2014 Asheville Regional Airport (AVL) broke ground on the biggest construction project since the airport was originally built, titled Project SOAR: Significant Opportunity for Aviation and the Region. The 5-year, 4-phase project, slated for completion some time in 2018, will result in a new replacement runway, a second taxiway and 40+ acres of land suitable for aeronautical development. The airport’s runway is being replaced for three reasons. First, the existing runway (which is 50+ years old) is nearing the end of its useful life and will require major reconstruction to continue its use into the future. Second, the existing runway and taxiway at AVL are slightly closer together than the Federal Aviation Administration (FAA) now requires – standards put in place long after the AVL runway was constructed. The third reason for the project relates to the airport's 20+ year master plan. Upon completion of the new airfield, AVL will have land suitable for new aeronautical development, accessible to the runway on the new west-side taxiway. Because the runway is nearing the end of its useful life (within the next 5 years), the FAA has agreed that it is now time to pursue this project at Asheville Regional Airport – one that will result in a runway that meets current standards, and one that will carry air service for western North Carolina into the future for the next 50+ years. FAA and North Carolina Department of Transportation (NCDOT) grant funds, as well as airport funds intended for aviation system improvements, will cover the $64 million cost. The airport is not funded by local taxpayers, so no local tax funds will be involved in this project. The celebration also came at an appropriate time, as Asheville Regional Airport saw a solid year of passenger growth, up 14% compared to the previous year. The growth substantiates projections used to develop the airport’s 20 year master plan, in which Project SOAR is a major part. To learn more details and to view a short video about Project SOAR, visit www.flyavl.com. The Greater Asheville Regional Airport Authority is pleased to announce the promotion of Kevan Smith to Chief of Public Safety. Smith brings more than twenty-five years of public safety experience to the airport, and has been a member of the airport’s department of public safety since 1991. Starting as a public safety officer, Smith worked his way up to public safety training officer, and then to Captain in 2004, a role in which he managed the daily operations of the public safety department, the security program and staff training. Smith holds numerous special certifications, including an Advanced Law Enforcement Certification from the NC Department of Justice, Firefighter Level II and Technical Rescuer Certifications from the NC Department of Insurance and the International Fire Service Accreditation Congress, an Advanced Safety Certificate from the National Safety Council and Leadership 1, 2 and 3 certifications from the National Fire Academy. In addition to these certifications, Smith is a certified Aircraft Rescue Firefighting (ARFF) Trainer with the American Association of Airport Executives and the Federal Aviation Administration, he is an Airport Security Coordinator, an Incident Command Instructor certified by the NC Department of Crime Control and Public Safety and the Federal Emergency Management Agency, and is a trained Emergency Medical Technician. A native resident of Western North Carolina, Smith’s civic involvement has been extensive throughout the years, and he is currently a member of the Transylvania County Rescue Squad, and the Transylvania County Democratic Men’s Club. By Callie Polk, Marketing and Public Relations Specialist There are so many factors that go into setting airfare, so we thought we would try to break it down. Keep in mind – we only know the basics. The airlines have their own business models that vary, and pricing strategies are pretty confidential! OK. So the base ticket pricing is now set. The next question we often hear is, “Why do fares fluctuate so much?” The age old answer applies: supply and demand in the market. Based on seat availability and demand, prices can change throughout the day, week or month. Airlines use sophisticated computer software to monitor buyer habits and trends, and to raise and lower prices when the demand is expected to be higher or lower, respectively. These price fluctuations include times of year, holidays and heavy vacation times, and days of the week. Generally speaking, a flight on a Monday, Friday or Sunday can cost more than others because they’re generally busier flight days. Same goes for the time of day – if it’s a prime time to fly (say right after work on a Friday) you might just pay more. The complexities of airfare pricing are related directly to profit maximization. Airlines are in the business to make a profit – much like any for-profit business, large or small. In order to do so, they have developed these sophisticated and complex pricing models. (Again – there is so much more to it, but we’d need an airline pricing expert to tell that story!) You may wonder – if airlines want to fill their planes, why not lower costs right before the departure date to gather as many passengers as possible? Another piece of this pricing puzzle is that oftentimes, it can be more profitable to sell a few high-dollar tickets to travelers on a deadline (the business traveler) than to sell 20 tickets at lower rates. However, if the coach seats haven’t been filled – an airline might open up a new “fare bucket” for those seats to make sure costs are covered. Finally, comparing fares at different airports is common. What does a comparison tell you? It can give you a snapshot of a moment in time. Remember, fares change. A lot. Especially if there are market conditions that dramatically affect supply and demand. Each airline is monitoring different factors that affect prices at each different airport. And the market is king. Check AVL first for your travel needs. And perhaps, if you can, check often. We monitor fares routinely, and on average, fares from AVL are competitive. There are even great deals to be found. For more information, visit flyavl.com. Asheville, NC – The Greater Asheville Regional Airport Authority reported a seven percent increase in passenger traffic for the 2013 calendar year, which was the third highest number of annual passengers reported in the past decade. While traffic each year varied, overall Asheville Regional Airport (AVL) has seen a steady increase in traffic over time. The 20th Art in the Airport exhibit at Asheville Regional Airport (AVL) has unveiled lots of bright colors and textures to please any passerby. 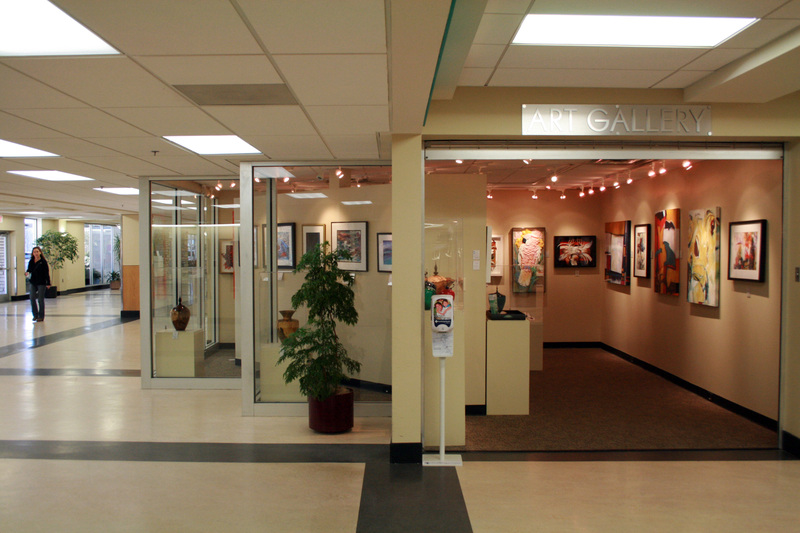 Now through mid-May, a collection of paintings, paper art and turned wood will grace AVL’s art gallery, located in the main lobby area in the terminal. The 20th exhibit features seven different artists from the Western North Carolina region specializing in different art forms. There are more than 50 pieces of art featured. Some unique pieces include carefully crafted paper sculptures, magnolia seedpod necklaces and bronze-sculpted bonsai trees near the baggage claim area. “We continue to see this program grow with each show and gain more attention from local artists,” said Tina Kinsey, Director of Marketing and Public Relations at AVL. 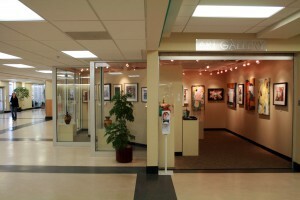 “We love being able to display local art our passengers can enjoy while also showcasing an important piece of Western North Carolina’s culture.” Pieces can be purchased from the gallery by emailing art@flyavl.com. Artists who reside in any of the eleven counties within AVL's primary service market may apply for acceptance into upcoming exhibits. Details about the program, including application instructions, can be found on the airport's website. (Asheville, N.C.) After 30 years at Asheville Regional Airport, most recently as the Chief of Public Safety, Chief Jeff Augram retired on December 1. During his time at the airport, Augram worked as a public safety officer and aircraft fire and rescue professional. For the past ten years, Augram served as public safety chief, and was responsible for all public safety and aircraft fire and rescue services at Asheville Regional Airport. Augram holds numerous advanced certifications, and was most recently awarded his advanced law certificate, one of the highest accomplishments in the field of law enforcement. “Jeff leaves a long legacy at Asheville Regional Airport,” said Lew Bleiweis, executive director. “We wish him well as he begins to enjoy his retirement.” Captain Kevan Smith, who has worked in the airport’s public safety department for many years, has been promoted to interim chief of public safety, and will serve in this role until a new chief is hired. (Asheville, N.C.) The Greater Asheville Regional Airport Authority (GARAA) is pleased to announce the awarding of two Advanced Law Certificates to Jeff Augram, recently retired chief of public safety, and Lieutenant Jimmy Brissie. The certificates reflect the officers’ dedication to continued education and many years of experience in law enforcement. Five out of 14 public safety officers at Asheville Regional Airport (AVL) have received this recognition. The certificates were established by the North Carolina Criminal Justice Education and Training Standards Commission in order to recognize officers in government agencies who strive for professional improvement and also to attract highly-qualified candidates to law enforcement. The commission met and after examination of the officers’ credentials, approved issuance of the Advanced Certifications. Officers who receive the awards must go through a rigorous training program and exceed standards set forth by the State of North Carolina for law enforcement. Jeff Augram served in the Department of Public Safety at Asheville Regional Airport for more than 30 years, most recently as Chief of Public Safety, a role he held for nearly 10 years. The advanced law certificate was Chief Augram’s last significant accomplishment at Asheville Regional Airport. Chief Augram retired this month. Officer Jimmy Brissie has been employed by the Asheville Regional Airport for more than seven years. “It has been an honor to receive this Advanced Certification, it represents hundreds of hours of training and exercise in preparing for emergencies in order to better serve the airport community,” Brissie said. Officers working at AVL who have already received the Advanced Law Enforcement Officer Certificates are Kevan Smith, Interim Chief of Public Safety, and Officers Mike Miller and Bruce Blackwell. Is your flight in season? Air travel today is different than it was a few years ago. Namely, airlines no longer fly empty planes, and they are flying more routes seasonally, especially from regional airports. What is a seasonal route? A seasonal route happens when an airline flies non-stop to a specific city, but only during peak travel months. During slower travel months, that flight is suspended and the airline’s asset (their airplane) is dedicated to a busier travel route, perhaps in another market. It’s all about success for the airlines – they are focused now more than ever on ensuring that every flight and route is profitable. Several seasonal routes are offered at Asheville Regional Airport. 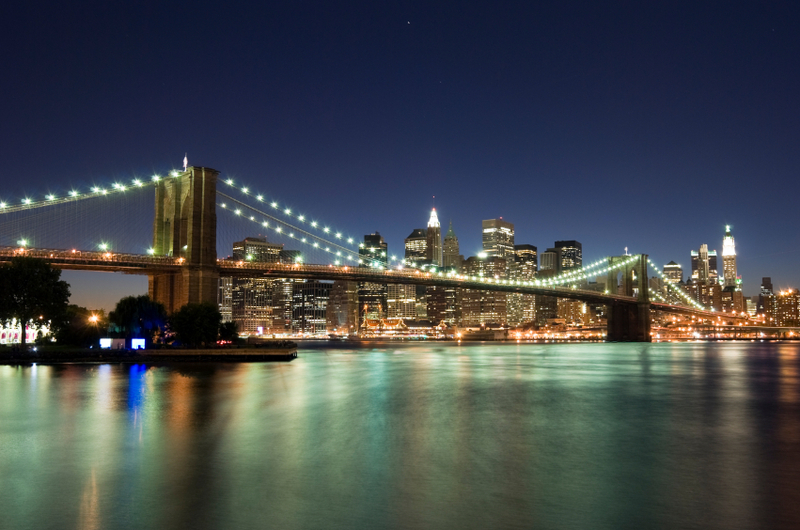 Delta operates a daily non-stop to New York City’s LaGuardia International Airport during the summer months. United flies a daily non-stop to New Jersey’s Newark International Airport summer through fall. And Delta’s non-stop to Detroit flies almost yearly, but is suspended in winter. Seasonality in air travel appears more in markets with strong leisure travel numbers, and in popular leisure destinations with heavier air travel in peak leisure months. Asheville Regional Airport’s traveler mix is 50 percent leisure. It is great to be able to hop on a non-stop to a popular destination, even if that option is available part-time during the year. It is also good news that travelers have excellent connectivity year round from Asheville to hundreds of domestic and international destinations. Asheville Regional Airport offers flights throughout each day to major hubs of Atlanta, Charlotte and Chicago, and most destinations are accessible with one easy connection. Remember: the more you fly from AVL, the more stable our air service offerings will continue to be. The numbers are important to the airlines, and strong utilization yields more seats and routes in our market. Thanks for checking Asheville first for your air travel!